The skinning machine for sheep & goats is used in order to remove the skin of the sheep & goats without destroying the skin and meat quality. 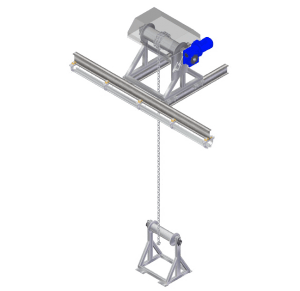 Skinning machine for sheep appropriate designed and constructed in order to ensure the full remove of the skin without leaving residues and reserving skin’s high quality. It achieves removal of skin by pulling it off by restraining the sheep and goats vertically. The carcass is suspended on the railway by its rear legs. The chain starts from the drum on the aerial line and turns one round of the down drum. One point of the skin is captivated by the chain of the machine. Since the motor operates, the above drum starts to rotate, the chain is gathered around the above drum and at the minimum time all the skin is removed. During the skinning process, because of the two drums the carcass is 100% in vertical position and it is not able to move. With this way, we avoid breaks at the carcass and the bloody meat. The machine is constituted from the skin removing system which has electric operation. 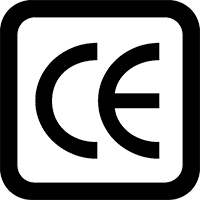 Simple operation & in accordance with all safety standards and in accordance with Derivative 98/37 EU of the European Union. Completely made of stainless steel, electric and pneumatic operation. The puncher for sheep is designed to clean the side flank area of the sheep before the pelt removal. Made of stainless steel twin roller head with belly bar. Powered by a pneumatic cylinder, hand operated by a trigger valve to actuate the cylinder and water feed to lubricate the head as it punch’s down the flanks. 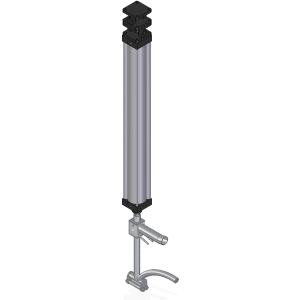 The support frame is fabricated from mild steel box section, with a hot-dip galvanized finish, and the punch arm is supported by an adjustable top section.